Over 30 years, London Surfacing has built up an impressive portfolio of clients and worked with a number of London boroughs. as well as Slough and Islington Borough Councils. 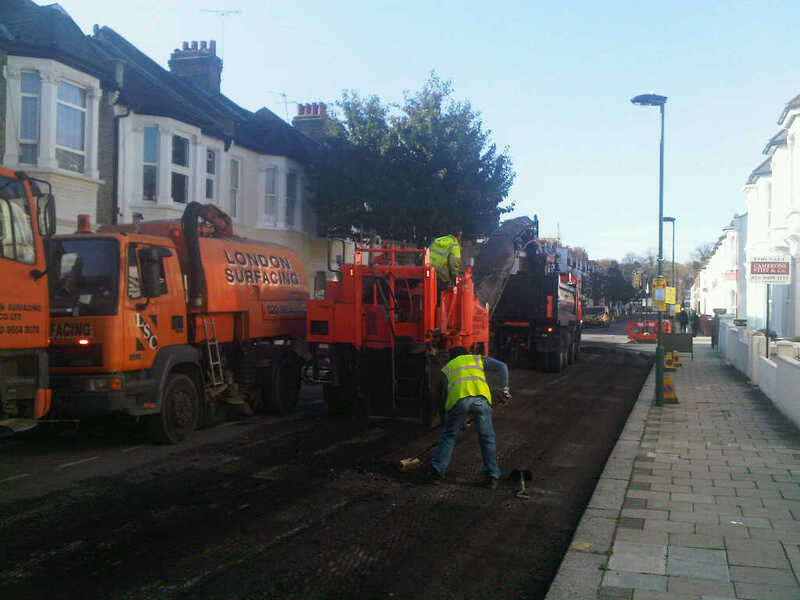 London Surfacing have been the term maintenance contractors for cold planing & machine laid surfacing in the London Borough of Brent since 2003. Within that time the company has resurfaced most of the major roads within the borough. The company has also worked extensively within the Borough of Ealing for Murill Construction (since 2006), undertaking carriageway projects within the borough, including highway maintenance & road reconstruction & resurfacing. 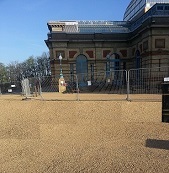 London Surfacing recently undertook some work at the famous North London landmark. 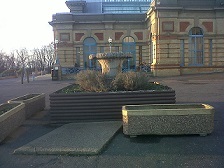 The existing surface was broken out by machine & the pot holes regulated with a bituminous material. The area was then swept & sprayed with a Tack coat emulsion. 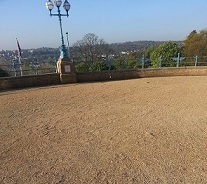 We then applied two coats of a 6mm 'Golden Gravel' and compacted to produce the final finish.